Our way of working is all about learning rules and then breaking them. We take inspiration from Commedia dell’Arte, a masked style of Italian street theatre from around the 16th century. Masked physical performance depends on a precise form, with rules and techniques that dictate how it is performed. This allows us to be clear, make strong statements and a lot of hilarious mistakes. We don’t work from a script. We have a general outline of what's supposed to happen, and the characters play their way from point A to point B. 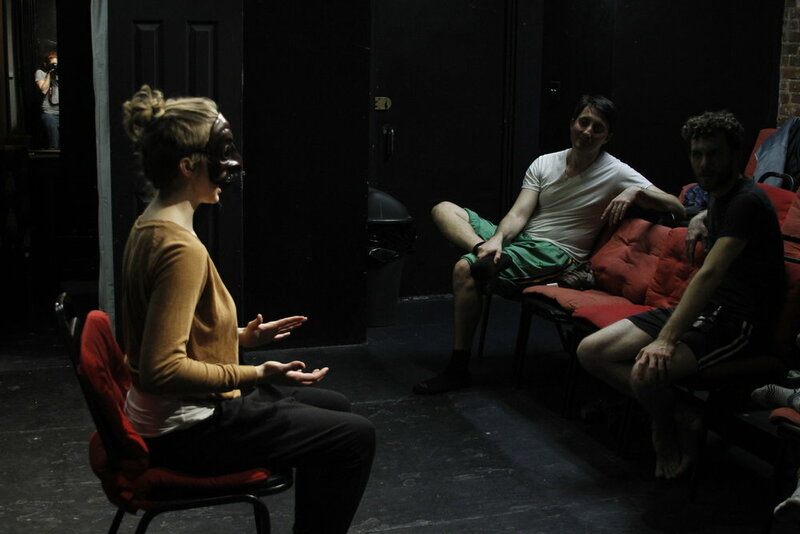 We use masks and archetypes to help us develop characters, and then spend a lot of time tossing them together and improvising scenes. We say yes to everything. We play hard. By the time we get on stage, we have fully formed, strong characters that are ready to interact with each other and their audience. We do a quick mask introduction and exploration that can fit into a high school or university class. 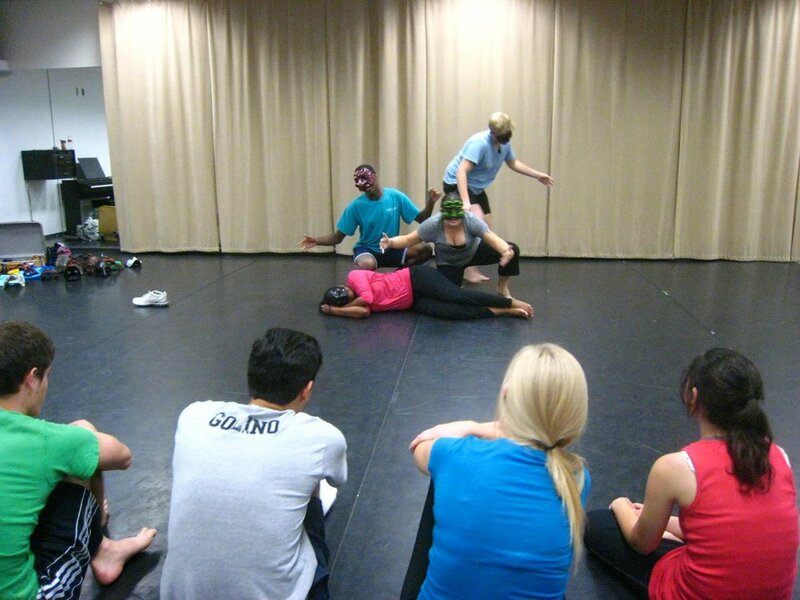 We do multi-day physical theatre intensives culminating in group projects and performances. We do in-depth lectures and demonstrations around the history and traditional masks and archetypes of Commedia dell'Arte. We can tailor our materials and exercises to the needs of any group, regardless of experience level, age, and group size. We also have performances that can pair with any workshop to provide context. Learn more about our menu of shows here! Fill out a form to get in touch with us! "The workshop was a huge help to me. I now have a huge list of different warm-up activities to do before any performance I’m in."